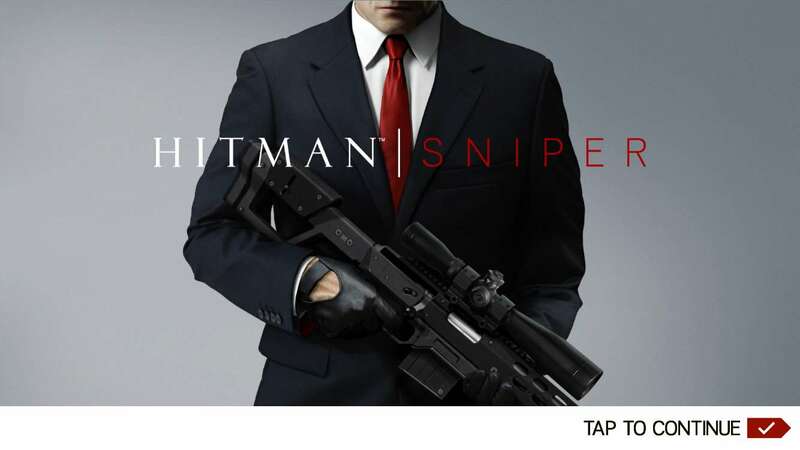 10 word description: Fixed position Hitman shooting game. 150 Missions, 13 rifles, upgrades. 10 word review: Only one zone, but a hugely entertaining and atmospheric game. 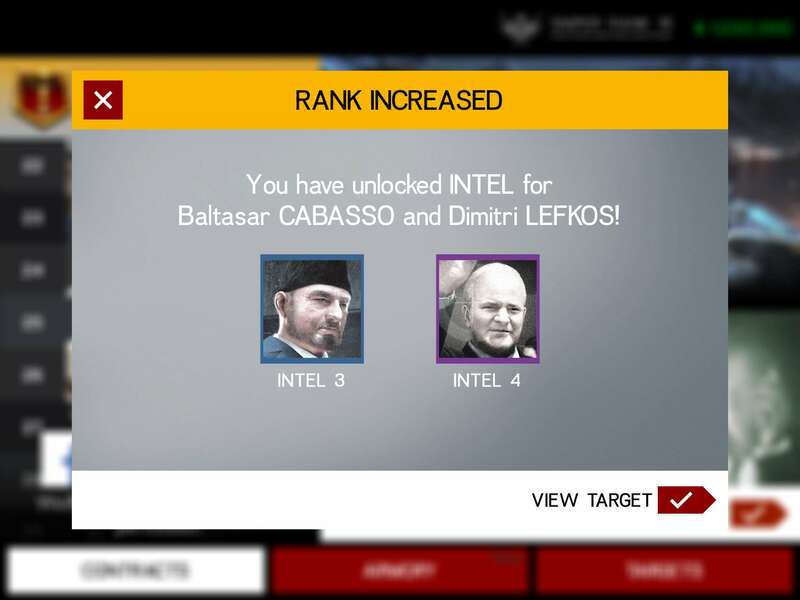 You will like this if you enjoy: Hitman games. Sniper games. Target shooting. Blowing stuff up and watching ragdoll bodies fly through the air. The good news: Great theme and style that fit perfectly into the Hitman universe. Control method is flawless enough to feel far more natural than using a mouse/keyboard for the same type of game on PC. Very nice graphics, sounds and effects create a compelling and believable atmosphere. 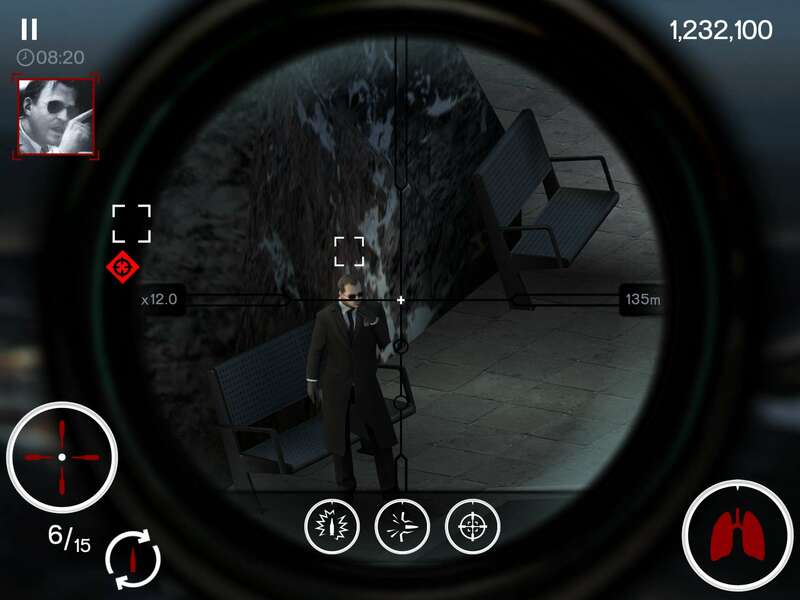 Target and guard behaviour and AI, while not completely realistic, are plausible within the constraints of a video game about creative assassinations, and consistent enough to be used as a reliable mechanism in a variety of set-pieces and hit set-ups. New weapons and upgrades are acquired using in-game currency which can only be obtained in-game, meaning no currency IAPs. The IAP guns are completely optional, not necessary for playing or enjoying the game. The bad news: Only one map/zone. 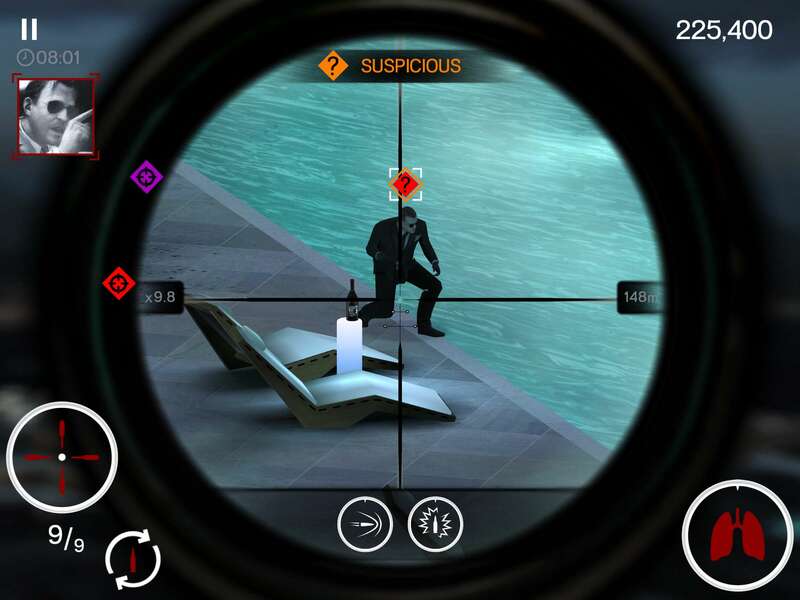 Action is arguably repetitive: shoot things from a single sniping location. 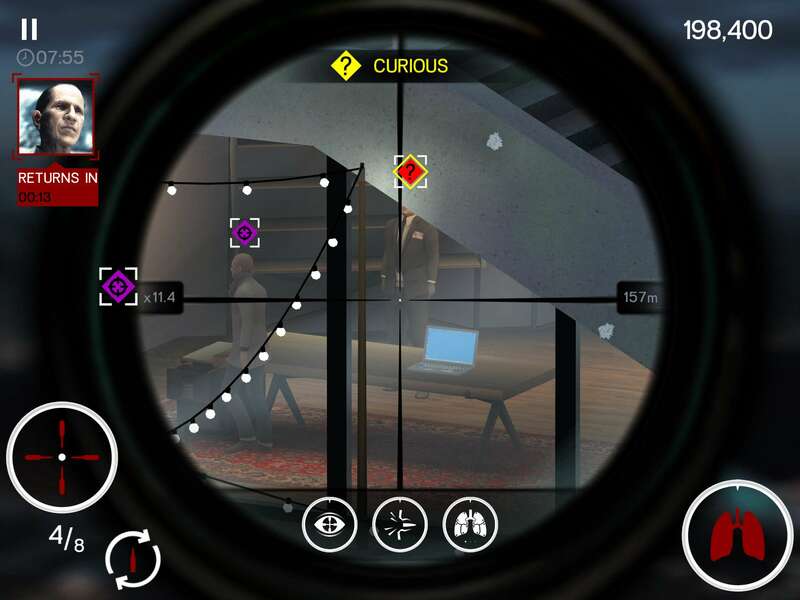 IAP guns – does the game need them? No. Do they spoil the game? 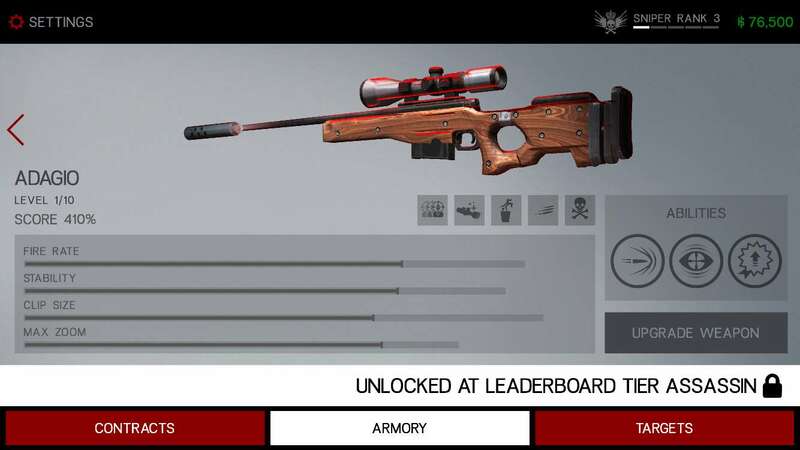 No, but I would argue that all weapons should be unlockable without spending more real money on a premium price game. I can overlook all the bad points (above) purely because the game is so much fun, so utterly addictive, a fantastic touch-screen game, and just a very cool example of how to take a basic video game concept, keep it simple, and build an immersive and stylish experience out of it. 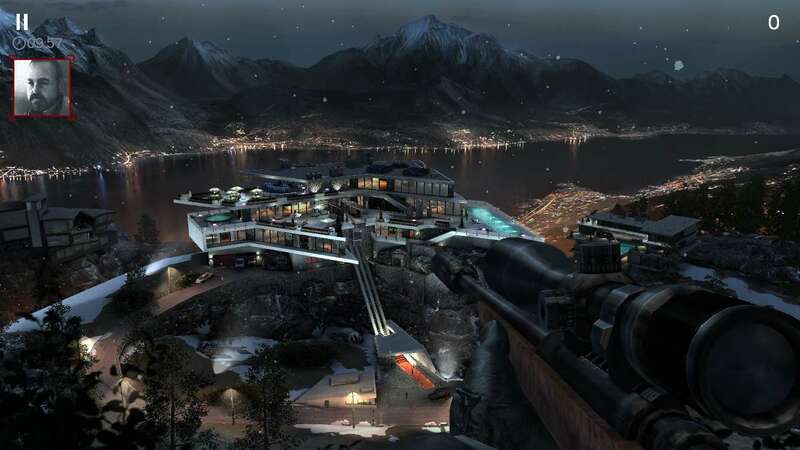 It’s initially a bit disappointing that there is only one map, with a single sniping location, but any doubts about the depth and entertainment value of the game quickly dissipate when you start to discover the amusing subtleties of gameplay and the attention to detail and opportunities for lethal pranking in the environment. 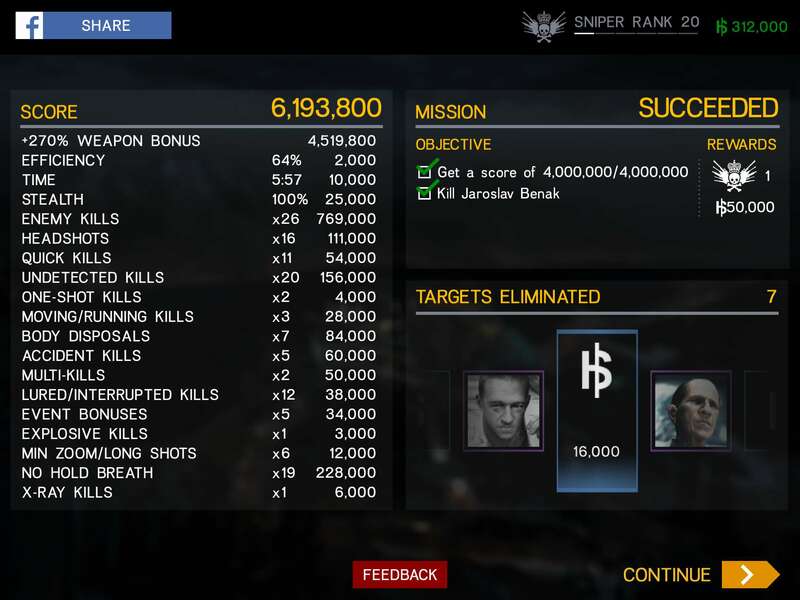 Hitman Sniper’s “one more go” capacity is unquestionable. What does have to be questioned is whether shooting the same blissfully unaware victims in the head, over and over again, is appropriate content for a game. Who am I kidding? Of course it is.